Planet Rototom Sunsplash has returns at full spin in Benicàssim. The 25th anniversary of the international reggae festival has been a beacon for the 208,000 people who arrived from five continents wanting to share seven days of a historic edition that last night said goodbye until 2019. Next year it will all happen again between 16th to 22nd August. With the motto 25 Years Walking Together, the line-up for this 2018 edition of the music event has been characterised by its online streaming and being an inter-cultural and inter-generational banner for its attendees, as well as the artistic whirlwind that blew through the festival for 17 hours each day in the festival area. It also stood out for its environmental commitments and the nod to social solidarity projects such as raising funds for Proactiva Open Arms and the installation of the Respect information point for sexual aggressions or LGBTphobia. 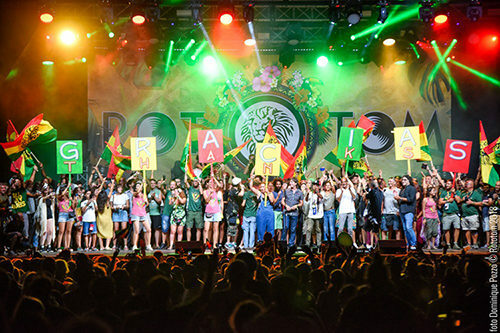 Rototom Sunsplash’s 25 years show that “another world is possible”. A “world” in Benicàssim where 208,000 people came from 66 countries, with Spain at the top, followed by France, UK, Italy, Germany, Switzerland, Belgium, Holland, Sweden and Austria following. Along with them, people also came from places further away like Japan, New Zealand and Cuba. The camping was also a hit with the public and had a couple of sold out days, on Friday 17th and Saturday 18th August. The festival pushed the limits of the concert area thanks to the live streaming of the shows and activities put on through the week. 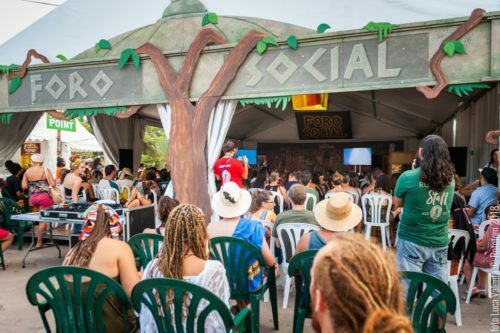 The five live channels saw Rototom Sunsplash watched by more than 10,123,000 people globally, who followed the daily live streams, on the website and via social media. About the last two, more info; the total social media reach of the Sunsplash – Facebook page, Twitter and Instagram saw from the beginning of August until the final night topped 6.5 million people. If there was one thing which got bigger this edition it was the family friendly and open attitude of Rototom Sunsplash. The attendance figures for the recently finished 2018 edition consolidated and strengthened this tendency. From Thursday 16th to Wednesday 22nd August total of 16,037 under 13s visited the festival. In addition, 5,200 over 65s and 4,753 people with disabilities experienced Rototom Sunsplash in person every day. 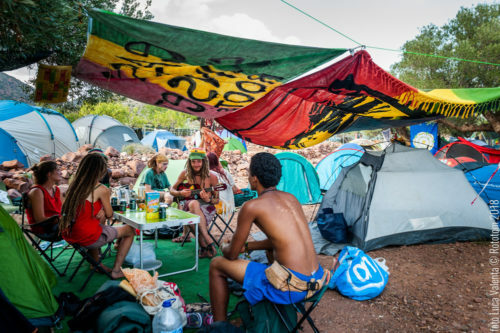 Cultural activities, fun, art, dreams, co-living, mutual understanding, reflection and commitment rode without breaks for 17 hours and encircled the activities on the 9 stages and 13 extra-musical areas in the festival site. In total the public were offered 247 shows, 420 hours of music and 130 extra-musical activities. More than 55 things to choose from every day. The Social Forum showed 7 documentaries and hosted 5 debates with 21 speakers. Among them were Manuel Blanco (Proem-Aid) and Leticia Cabo (Proactiva Open Arms), who condemned the criminalisation of the NGO that rescues immigrants from the Mediterranean, the journalist Jalis de la Serna, moderator of the debate raising awareness of the effects of plastic in the oceans, as well as Lamine Sarr, spokesperson for Sindicato de Vendedores Ambulantes de Barcelona, and voice of the debate Dignidad Mantera. The 2018 attendance figures that capture the environmental and social commitment of the festival. There was a system of reusable plastic glasses to raise money for the NGO Proactiva Open Arms. The festival also collaborated with Sindicato Mantero through supporting their brand Top Manta, the Addis Abeba Fekat Circus school and with Stand Up for Jamaica, for their work in the Jamaican prisons. Rototom Sunsplash’s line-up also made two additional stops in the Castellón II prison in Albocàsser. It took with it the spirit of the festival to share with the inmates music from the renowned Skatalites and Mediterranean Roots from Valencia. The Ethiopian company Fekat Circus and a yoga session from Pachamama also joined them. The closing of the camping areas this Thursday marks the return home following a week of reggae filled holidays. 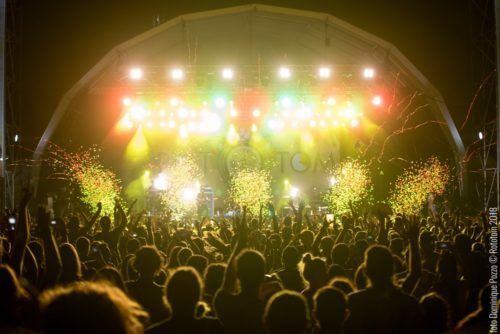 Rototom Sunsplash puts its counter back to zero ready to clock up more years. Year 26 is already being prepared so that it can become even stronger next summer. The dates are confirmed as 16th to 22nd August 2019 in Benicàssim. PreviousPrevious post:Tarrus Riley previews new song for the final night of Rototom SunsplashNextNext post:We are off to Alicante with the International Dub Gathering!